From time to time, we could all use a little more calm and zen in our lives. It just so happened, that I’d caught a cold and had some sleepless nights, when I received this lovely Zen Box from Sparkyle. They come in two sizes for £30.00 and £15.00. But both have a restful value much higher than what you pay! My box was £15.00, but it contained so many things, I can’t believe it’s value for money. Firstly, I must start with their chakra bathbombs. They are so unique and contain a gemstone hidden in the centre. If you haven’t read my previous reviews, you must! 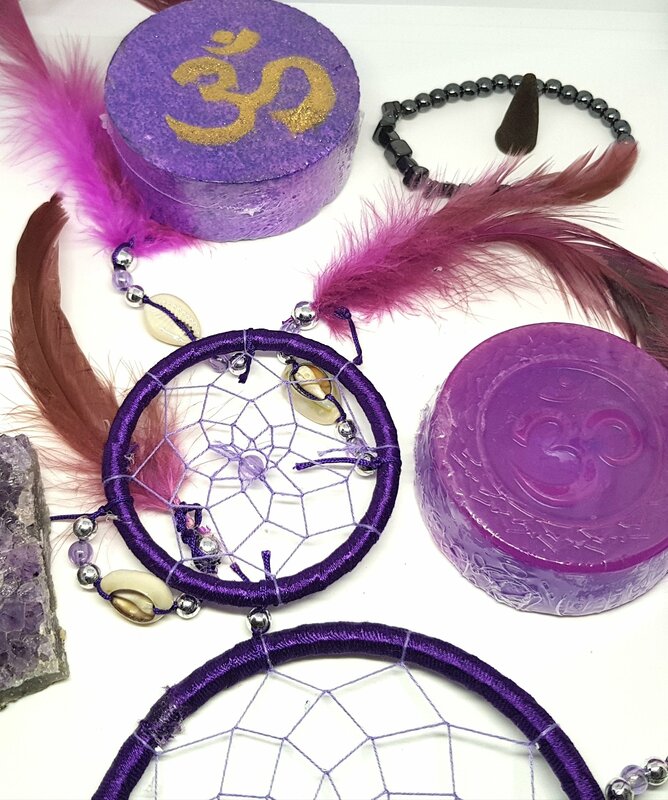 They are all cruelty free, organic and vegan friendly, containing hemp oil. 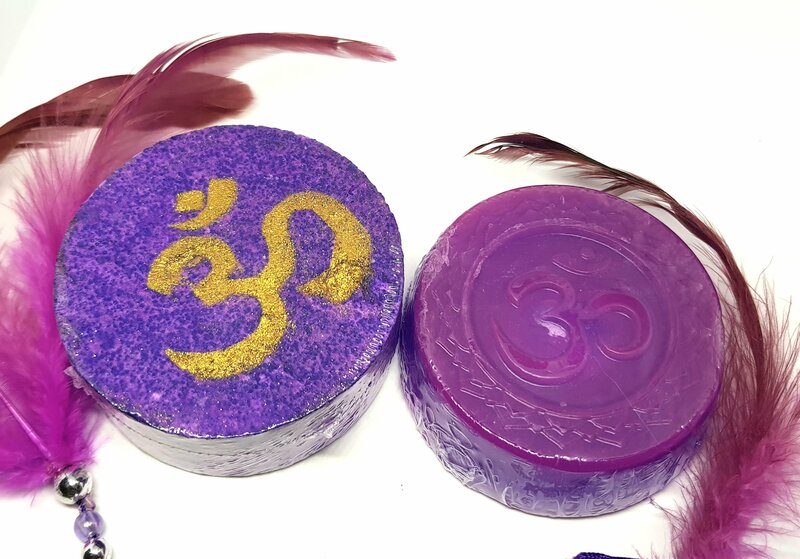 This time, I was able to sample the crown or Sahasrara chakra bomb (and matching soap). It’s purple I’m design, but scented with blue lotus. The design of the bomb has changed slightly, now with an additional gold detailing. Blue lotus has a natural anti-aging property, repairing the proteins in the skin to leave a soft texture behind. 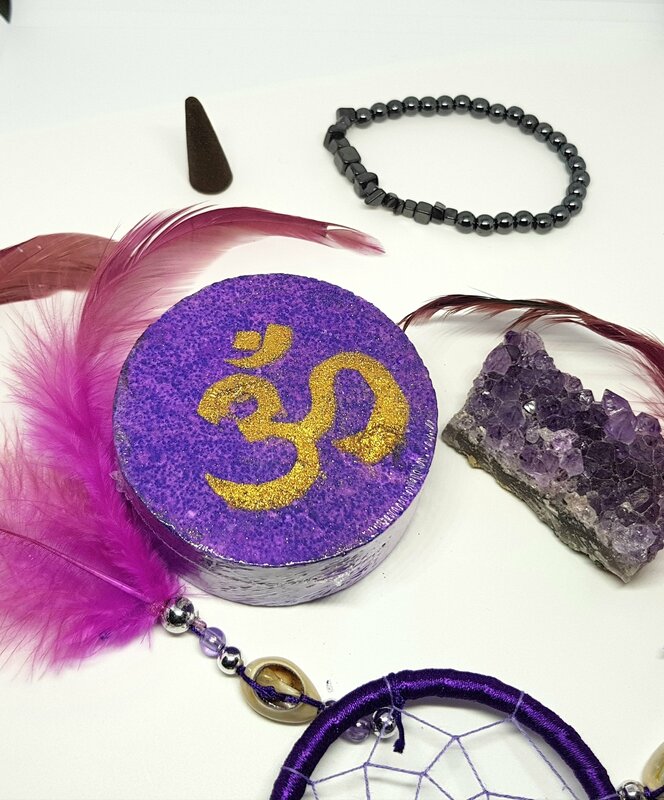 The crown chakra, helps us to form a deeper connection to ourselves. Inspiring trust, happiness and positivity in one’s self. So, perfect for refocusing the mind and encouraging a more forward thinking outlook. I used the bomb and soap together in the bath, because this soap is truly like no other! It’s so smooth and silky on the skin and the mix of aromas from both products really helped me to relax. In addition to the gemstones (quartz) revealed inside the bomb/soap, I also received a good sized amethyst stone. Perfect if you’re really into your crystals, and beautiful on display even if you’re not. To add to the atmosphere, there were two boxes of incense cones – my favourite being the jasmin scent. 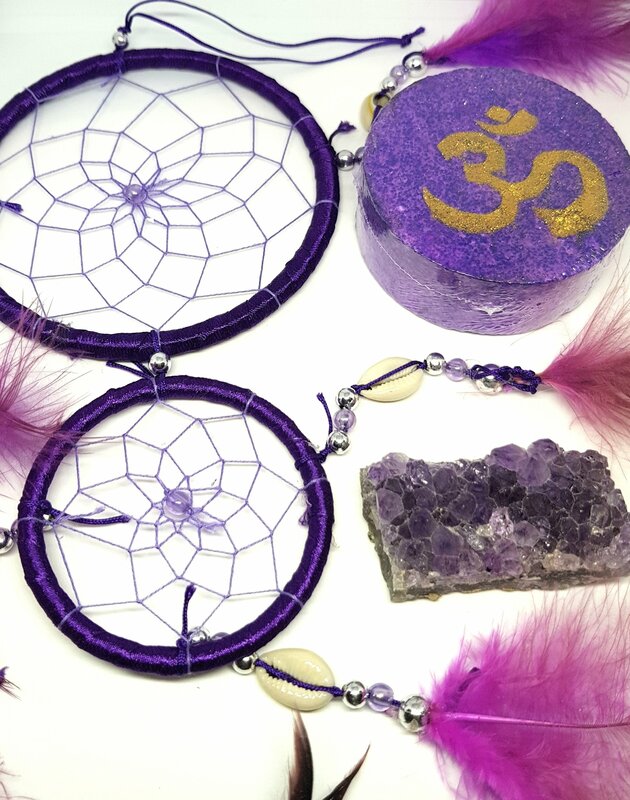 A simply beautiful, large, purple dream catcher, complete with beads and shells to help my restless nights, to become restful. 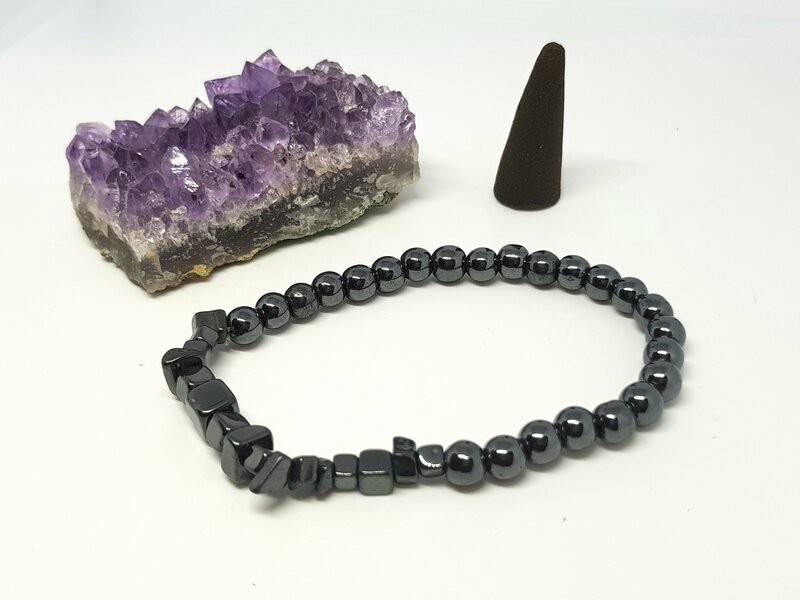 Finally, a hematite bracelet which are supposed to be good for bringing down your blood pressure by maintaining the charge of your nerve cells. It’s also a very pretty bracelet to add to my collection! Enjoy your new items. I love the purple. This box is new to me.